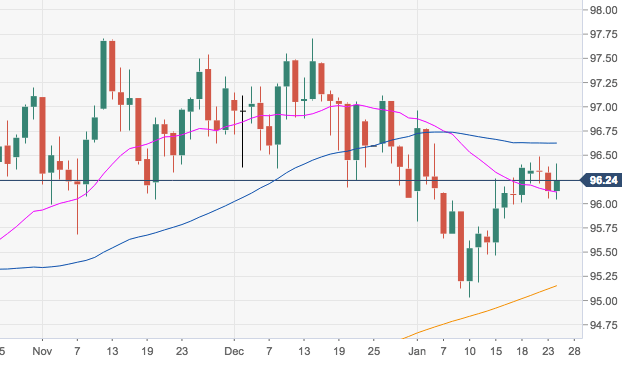 The greenback is coming up after briefly testing fresh weekly lows in the 96.00 handle, although a clear breakout of the key resistance area in the mid-96.00s still remains elusive. DXY still needs to overcome the 96.50/80 band, where are located recent peaks, the key 55-day SMA and the 23.6% Fibo retracement of the September-December up move. A move higher should put the YTD highs around 97.00 back on the investors’ radar.